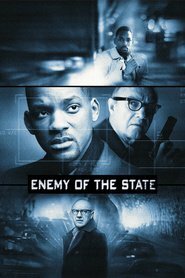 Overview… a self-described “law-abiding citizen” who find himself the target of a National Security Agency investigation. Robert’s world is turned upside down when he comes across evidence of a government conspiracy. Now, the NSA will do everything it can to unravel his life and discredit him – including cutting off his bank account and framing him for murder. Personality… wise-cracking, resourceful, and intelligent. Robert is a family man, but he’s also a tough lawyer with a low tolerance for nonsense. When he finds himself on the run and fighting for his life, he won’t hesitate to take drastic measures to escape the clutches of the ever-pervasive surveillance state. Robert Clayton Dean's popularity ranking on CharacTour is #4453 out of 5,000+ characters. See our top-ranked characters and read their profiles.